2017 was the year when the climate change mega-trend made it's presence felt from record breaking global temperatures resulting in deductive giant storms from Hurricanes in the west to Cyclones in the east that have wreaked havoc across the planet, literally destroying every building on many of the smaller Islands hit. However, whilst most recognise the dangers of climate change and are eager to do their bit towards attempting to lessen its unfolding catastrophic consequences of. However in a small provincial corner of England, those in charge of running the city of Sheffield apparently have taken a leaf out of the 'Trumps' book of Ignorance and implemented actions that achieve the exact opposite. One of seeking to destroy the local environment through the actions of felling thousands of big street trees. 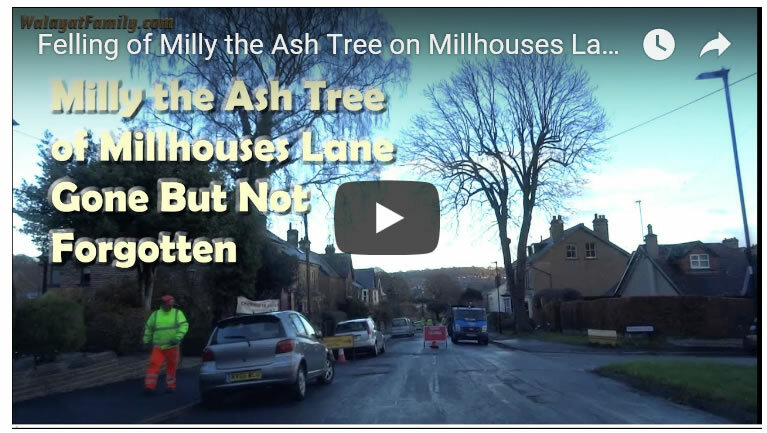 2017 was not the start of this street environment damaging plan, merely the continuation and intensification of as my video from mid 2015 illustrates the very beginnings of local alarm at what was happening on many of Sheffield's tree lined streets, formerly Europe's greenest city. 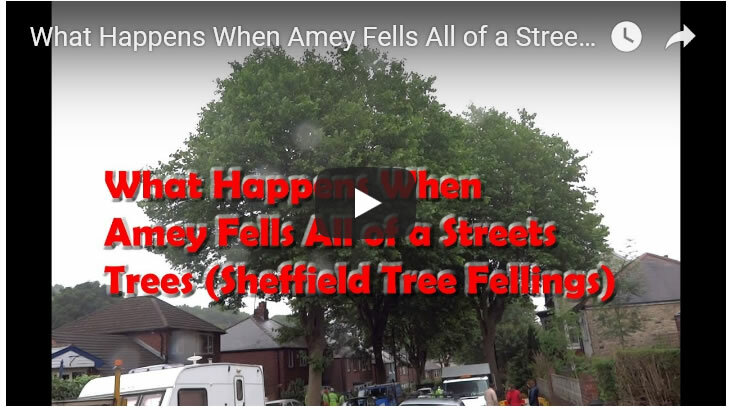 So for the next 18 months or so I watched from the sidelines as Sheffield's tree felling saga unfolded, trying to understand why the Labour city council had gone all 'Trump' on Sheffield's street trees. Not only did the city council appear ignorant to the environmental damage at a time of climate change warnings, but that virtually everyone was completely oblivious to the economic costs of felling street capital assets that individually had values of between £50k to £150k per large tree. 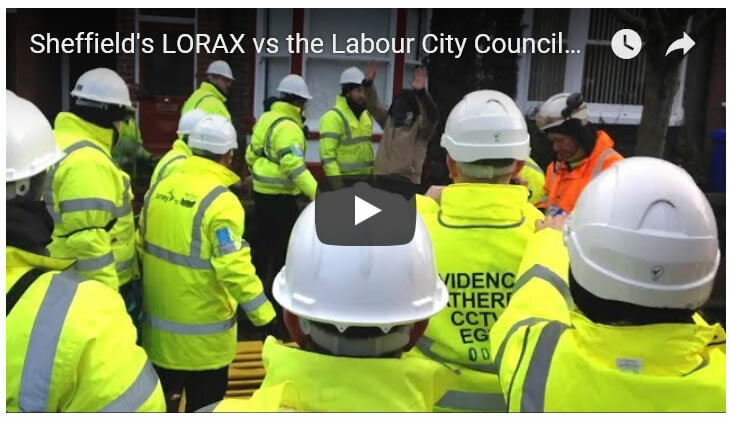 And so at the start of 2017 I decided I am going to do my part in documenting and publicising the Trumpesk behaviour of the Labour city council that looked set to continue felling with even greater intensity during 2017 then which had been reported on by the local media during 2016. For as I warned in my article right at the start of the year that the felling of thousands of mature healthy trees WILL have a detrimental impact of Sheffield's house prices, and that I expected the tree felling's would likely trigger a house prices crash by the end of 2017. And so I increasingly found myself on the front lines of Sheffield's Tree lined streets both attempting to document and analyse the consequences of the what was taking place. Whilst early in the year the modus operand of the council's contractor Amey's and its minions of felling sub contractors such as Acorn was not entirely clear. Nevertheless I strongly suspected that they would literally fell streets of EVERY tree that they targeted with their chain saws so as to achieve their arbitrary felling quotas. Which is precisely what came to pass as what happened to this street illustrates. And as the year progressed I saw the tree campaigners morph into experienced protestors whilst the felling crews were now accompanied by security personal, platoons of bouncers imported from the North accompanying the Arb army imported from the South culminating in a scene that could be straight out of an eastern block totalitarian state as one of my last videos of the year illustrates. So what has been the consequences of Sheffield's tree felling carnage? Well it will undoubtedly have a detrimental impact on Sheffield's street environment and the health of Sheffielders as the pollution soaking lungs of many of Sheffield's streets have been removed just when they were needed the most. Whilst in terms of economic damage the house prices crash is coming to pass as Sheffield's house prices have nose dived since mid year, with final data still pending, nevertheless average house prices are likely to end 2017 down 5% on the year, and far worse for those streets stripped of all of their trees. The response from the councils contractor Amey is that they have planted more replacement saplings then those felled, despite the fact that it usually takes about 200 saplings to replace the mass of each large mature tree felled, and which will take several decades to grow to the heights of the felled tree, time that we just don't have to wait as climate change is NOT going to pause for anyone! So the damage has been done for nothing will bring back the thousands of felled big street trees just when they are needed the most! But the people of Sheffield can peacefully resist the planned felling of many more lungs of the city during 2018 against the soon to return Arb army from the South accompanied by the Bouncer army from the North. In terms of holding the Labour council to account then the people of Sheffield will be able to make their voice heard at the May 2018 local elections.